18 inch dolls such as American Girl dolls are very popular, and making clothes for them is fun because the projects work up so quickly! 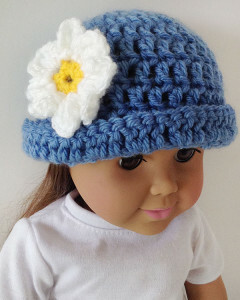 This Doll Hat is a simple pattern and can be made to match any outfit. 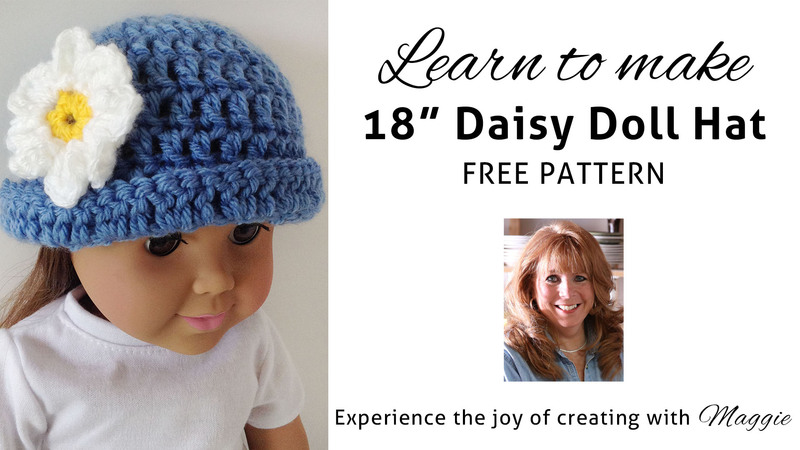 Click the photo for the Doll Hat pattern. 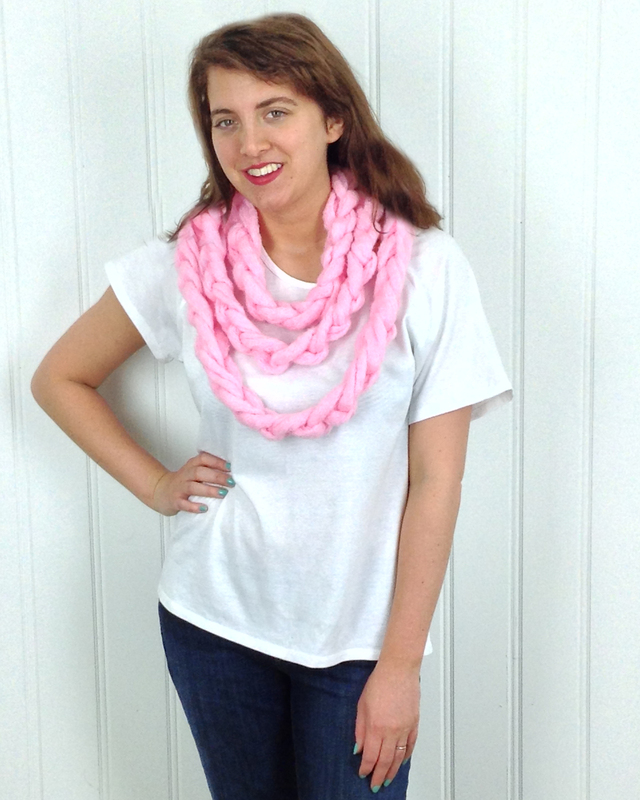 This project was designed with worsted weight yarn and a size G-6 hook. 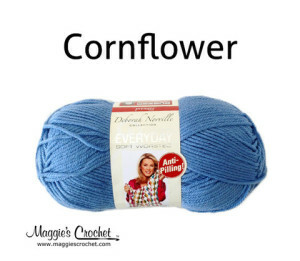 We used Deborah Norville Everyday yarn in the video. It comes in 32 solid colors, as well as Multi-Colors and self-striping Go Team Colors.